Gravity is a lie. We never landed on the moon. Obama is from Pluto. Jesus wasn’t white (nor was he Jewish). Your broccoli isn’t organic. There is a certain portion of the population whose entire raison d’être is convincing anyone who will listen that the reality they know is a lie. For them, the Matrix isn’t just an excuse for Keanu Reeves to have a career, it’s a philosophical treatise on par with anything Johns Locke or Calvin ever produced. I’m sounding bitterly dismissive, so I should explain. I have no problem with questioning or doubting. The scientific process is built on challenging established understanding and launching ourselves into new realms. The greatest scientific accomplishments of human existence would never have occurred without people willing to take the ‘known’ and test it. A mind that says we know everything we can possibly know and there is no new information is, essentially, religious. I cannot support such thinking. But, just because I respect the inquisitive mind, doesn’t mean I give credence to the cynical dismissal of all knowledge. 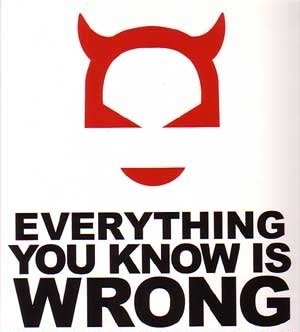 My problem with people who make the statement, “Everything you know is wrong,” is that they are inherently dishonest. They tell you to question everything, then check their iPhones for the latest updates on ConspiracyBullshit.com. We live in a society where scientific advancements completely shape every aspect of our lives. Someone can pretend like they ‘question everything,’ but test that resolve and they’ll prove to be empty-headed charlatans. Medically, everything from flu shots and vaccines to heart transplants and brain surgery rely on a firm understanding of biology and human physiology, all brought to us by hundreds of years of research and study. A very select minority truly rejects all medical science, and they’re called Christian Scientists. And we don’t have to pay much attention to them because natural selection is pretty much killing them off. How about technology? Unless you’re Amish, you’re probably reading this on your laptop, smartphone or virtual reality glasses. None of that technology would be available to you without decades of established and verified scientific research. Scientific knowledge is partially about challenging preconceived notions, but even more importantly it’s about building on the work of those who have come before. The mantra of “Question Everything” is meant to suggest humility, by insisting that we humans are incapable of understanding the mysteries of the universe. But, in fact, the philosophy that claims “everything we know is wrong” is the most arrogant worldview available. It suggests that we, as individuals, can simply dismantle the work of millions of thinkers, scientists, doctors, researchers and philosophers who have come before us. And all because we took the blue pill. Or the red pill. I don’t actually remember which is which. These Universal Cynics are liars and fakes. Like relativists and religious fundamentalists, if you actually put their philosophy to the test, one of two results will occur: Their hypocrisy will cause them to buckle, or they’ll die. Everything you know is most emphatically not wrong. A lot of what you know is, in fact, completely, unquestionably true. Gravity is real. So is evolution, and the germ theory and Obama’s birth certificate. If you’re going to question someone, start with the people who use a website to tell you to doubt everything, a website powered by decades of established scientific research. Yes, we must challenge, question and never grow complacent with our search for greater understanding. But, no, we must not begin from the solipsistic view that if we don’t understand an answer, or don’t find it personally satisfying, it cannot be true. Instead, we must begin with the realization that all human thought and inspiration stands on the shoulders of giants, and to dismiss those generations of advancements is like willfully climbing Mt. 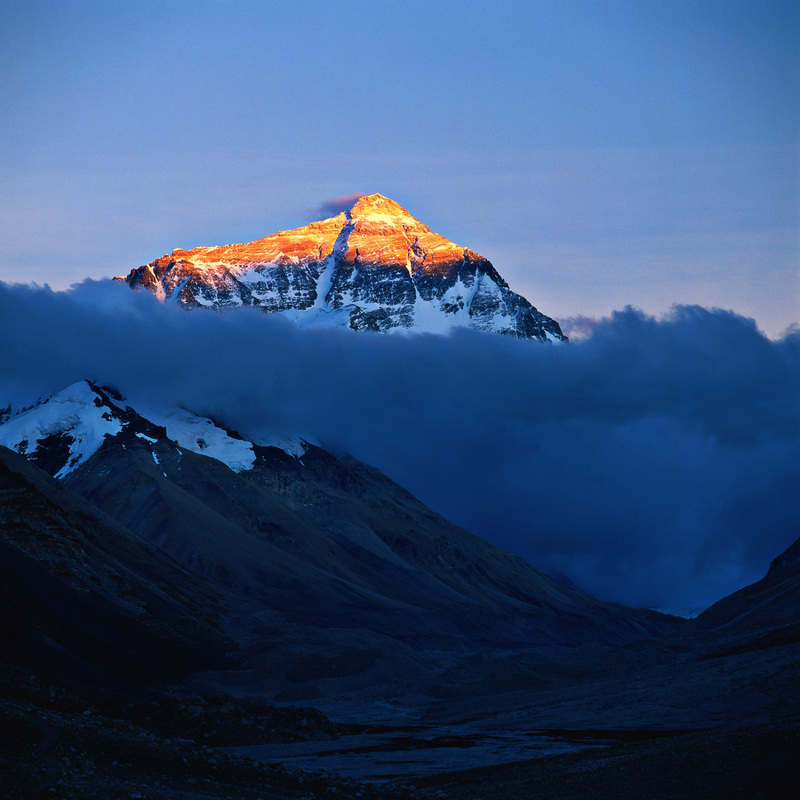 Everest from the base when we have a helicopter to carry us above the death zone. *My issue isn’t with the idea that we might be a virtual simulation. While I don’t buy it, even if it were true, it’s meaningless to discuss. Our reality is still our reality. If there are rules that can be learned in our universe, we should be trying to learn them, not wasting our time looking for the theoretical exits.